In order to be a good options trader, stock chart analysis skills should form a major component of your decision making process, particularly if your strategy involves anticipating short term market moves. Reading and interpreting price action charts is often referred to as "Technical Analysis" (as opposed to "Fundamental Analysis") and the purpose of this section of our site will be to explore the most popular methods used to do this. Being good at stock chart analysis is more an art than a science. We can provide the "science" behind technical analysis of stock charts, but to actually turn it into an "art" requires practice. You could think of it as something like learning to play the piano. Your teacher can show you how it's done (the science), but if you wish to become a good pianist, you have to practice, practice, practice. After a while, it becomes intuitive - you can look at all these notes on a page and translate them into fingers running over a keyboard with skill and ease. Now you have turned the science into an art. Technical analysis of chart patterns is no different. Your ultimate aim should be, to look at a price chart, draw your trend lines, add your indicators and when it's all done, be able to 'feel' what is about to happen. To make stock chart analysis easier for you, we will approach it at two levels - "Level One" and "Level Two" analysis. Level One Analysis starts with the basics - how to draw trendlines, support and resistance lines and understanding the role of moving averages. Then we identify chart patterns such as channels, double tops, double bottoms, head-and-shoulder patterns, pennants, flags, triangle formations and the like. We will also look at candlestick charts, western bar charts and line charts - what they are and how to use them. Momentum Indicators - These tell us when a price trend is likely to be strong or warn us when it may be weakening and due for a possible pullback or even reversal. Volatility Indicators - these help identify price breakouts following a period of consolidation. Price fluctuation has been quiet and suddenly it starts to move, or become volatile. Price breakouts are one of the most reliable signals for short term option trading opportunities. Other aspects of stock chart analysis we will look at include fibonacci retracements, the popular ABC points used in swing trading together with the use of Elliot Wave Theory and also the work of W.D. Gann. These are used to explain patterns of human behaviour, as buyers and sellers motivated by greed and fear, battle one another for supremacy. Since market price movements tend to behave in a typical way, understanding these points of resistance and/or continuation help to increase the probability that our anticipation of future price direction will be correct. So let's dig deeper into this fascinating subject - but remembering that when it's all said and done, a stock, commodity or forex price can only do one of three things - (1) Move up; (2) Move down, or (3) Do nothing. Before you even start, you have a one-in-three chance of being right. Technical analysis of chart patterns is designed to help you choose which one. Technical analysis of stock charts is both a science and an art. The science is in understanding the theory; the art is in developing the intuition that sees these things instinctively. 2. Stock Market Trend Analysis - Stock market trend analysis is not a difficult skill to learn. The real challenge lies in being able to determine whether the trend will continue or if it is about to reverse. Channel pattern trading is one of the easiest technical analysis techniques to implement - and the good news is, that most financial instruments will channel at least 20 percent of the time. Stock chart triangle patterns are classic setups for great option trades because they identify the consolidating price action that usually precedes a breakout. 5. Head and Shoulders Patterns - The head and shoulders pattern is a classic and mostly reliable chart reversal pattern that is typically seen at the top of an uptrend. Once validated, it also allows you to predict a future price target. 6. Double Tops and Bottoms - Double tops and bottoms are one of the most reliable chart patterns to trade. But when do they work and when don't they? 10. Flag Chart Patterns - The big advantage with the flag chart pattern, is that it allows you to anticipate price targets for the underlying financial instrument that you're trading options on. 11. Wedge Chart Patterns - Identifying and trading the wedge chart pattern helps spot trend reversals, price targets and new support or resistance areas. 12. Island Cluster Reversals - How you can trade island cluster reversals. Let's start by identifying what this chart pattern is and how we can use it. Inside days are a powerful candlestick pattern suitable for 'automated' day trading, that has even been promoted by some as 'the one trading secret that can make you rich'. The RSI indicator provides preemptive signals of a potential change in trend. This is one tool you should always pay attention to if you trade options with the trend. The Stochastic indicator, often called CStats, is a chart study that is all too misunderstood in the trading community. But used correctly, it can warn of price action reversals. The Exponential Moving Average can be a powerful ally when timing entry and exit points on daily charts. The EMA3 and EMA9 crossovers provide useful bullish or bearish signals. 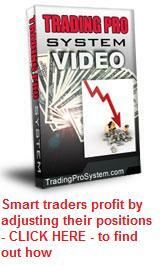 Bollinger Band Trading - your number one support tool for options. They are helpful for both entry and exit signals, providing a great deal of information about volatility. I have found Fibonacci percentages to be one of the most useful and reliable tools when defining retracement levels and setting potential profit targets, particularly with forex and options trading. Elliott wave theory is one of the most exciting of all technical analysis tools. Once you see how this works, it will change the way you trade forever. The Best Part About INO's Daily Market Analysis is, that it's free. If you're an option trader, or any kind of trader for that matter, you should seriously consider this one.